How awesome is this? All credit goes to MeetTheBoss for creating this visualization (better quality image available when you click through), but it was too good not to share it with you. 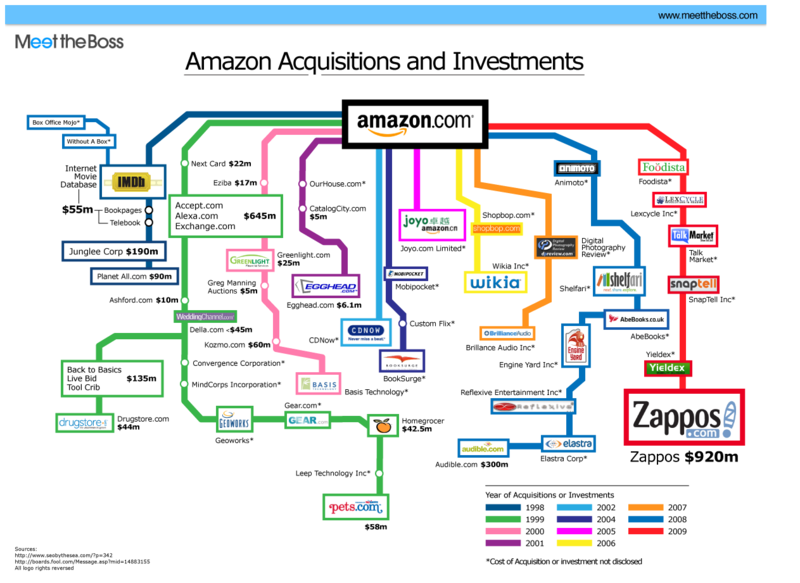 It’s a visual representation of Amazon’s acquisitions and investments from 1998 until its most recent purchase of Zappos for a reported $928 million. 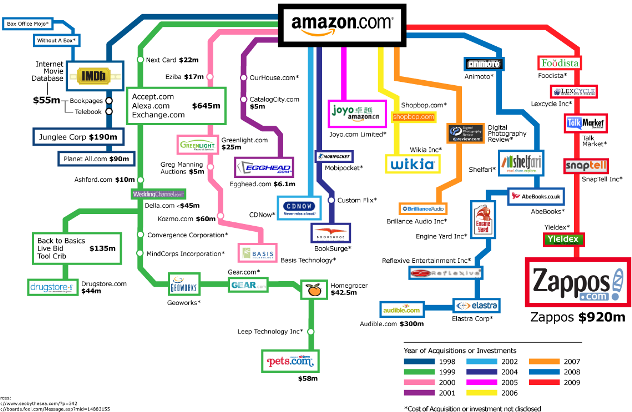 The image shows the giant Internet retailer was extremely active in 1999 and 2001 and significantly scaled back investments and buy-outs after the dotcom bubble burst, but has been picking up the pace, particularly since last year. Who will be next on the map?